“Tonight I got to clear the table,” he said. 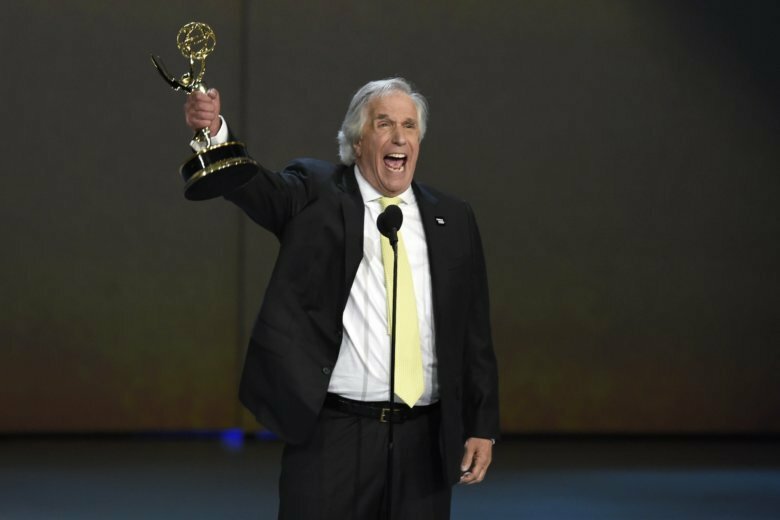 Winkler was nominated three times for his work on “Happy Days,” in 1976, 1977 and 1978. His character Arthur “The Fonz” Fonzarelli spawned a cultural craze and made him one of the biggest stars on TV. Backstage after his win, Winkler joked with reporters that he was wearing rubber pants with a little powder, just in case he wet himself if he won. “But I had control,” he joked.